Discussion in 'Electronics' started by jih2000, Mar 28, 2017. Firstly, I are assuming that MB actually allow coding of options that were retrofitted and not originally ordered with the car. Then, I am assuming that it is a 'simply' a matter of installing the missing hardware bits and buying (or fabricating) the wiring looms to connect them to the relevant SAM unit. - It seems that Road Sign Assist requires a camera to be fitted behind the windscreen (inside the compartment where the rain sensor is located) for the OCR function. It also required COMAND for the GPS data so wont work with Audio 20 or Becker Map Pilot. - Lane Keeping Assist requires a camera in the same location i.e. behind the windscreen (though it seems that the camera for the Road Sign Assist and Lane Keeping Assist together is a different Part Number to the camera used for Road Sign Assist alone...). More crucially, Lane Keeping Assist requires a motor fitted to steering mechanism so that vibrations can be generated, and my understanding is that it can't actually be retrofitted - instead a new steering column or steering rack is required? - Blind spot assist requires a radar sensor to be fitted behind the rear bumper on the off-side of the car. - Distronic requires a radar sensor to be fitted behind the Mercedes star in the grill, and possibly also using the camera behind the windscreen. Obviously everything needs to be coded using STAR etc. Incidentally.... I have been looking at second hand cars for sale... it seems that on the C-Class (facelift) where all the driver aids were optional, they are very rare on UK cars. 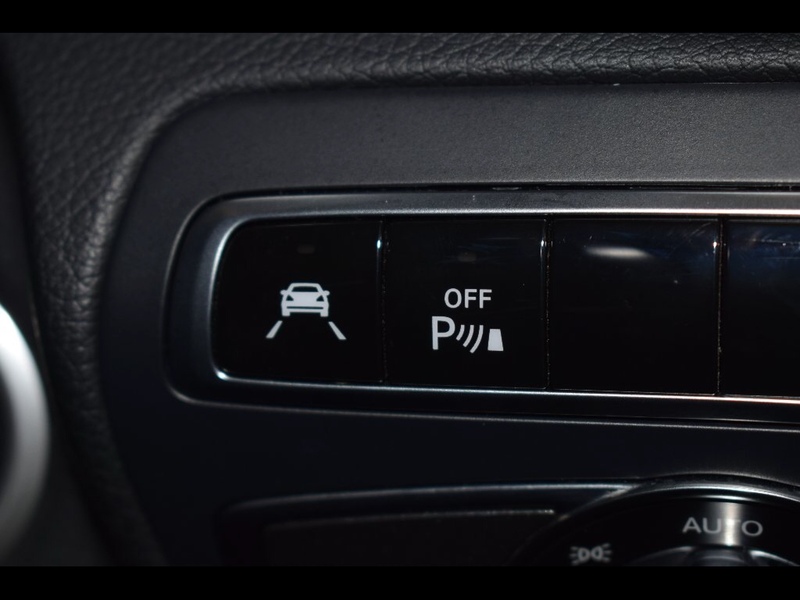 It seems that Road Sign Assist is standard on cars with COMAND, but Lane Keeping Assist, Blind Spot Assist, and Distronic are very rare on the C-Class in the UK. They are very common on American cars, presumably because they were part of various standard trim levels over there, whereas here these were always an option that needed to be specified. I have them, but I agree retro fitting would be a nightmare! Blind Spot Assist might possibly require radar sensors on both sides..? And new wing mirrors...? Traffic Sign assist just needs a capable camera. Lane assist needs that, a new steering column module and a steering wheel with the buzzer. We've done a few Traffic Sign and Lane Assist installs, and the odd Distronic install, but whenever we price up Distronic+ retrofit it is *so* expensive that its worth buying a new car. Some cars even need a new windscreen to accomodate the camera(s).